Meningitis is a rare infection that affects the delicate membranes (folds) called meninges. These folds cover the brain and spinal cord. There are several types of this disease, including bacterial, viral, and fungal. Bacterial meningitis can be life-threatening and spreads between people in close contact with each other. Viral meningitis tends to be less severe, and most people recover completely without treatment. Fungal meningitis is a rare form of the disease. It usually only happens in people who have a weakened immune system - the body's defense against germs. The bacteria are present in infected individual’s nose and throat that gets easily spreads through coughing and sneezing. Meningitis is one of the highly prevalent and virulent diseases in the third world. So, if you are travelling to the third world countries, getting a vaccine shot is essential to avoid secondary meningitis infection. What are the common symptoms of Meningitis? The exact incubation period of the Meningitis is unknown but symptoms can start to show in one week. Symptoms include fever, lethargy and stiffness in the head and neck. 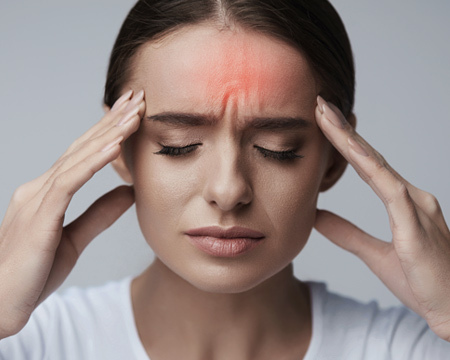 Severe headaches can also occur. Detecting the presence of meningitis in infants can be challenging. The infected infants become less active and irritable and have vomiting and loss of appetite. Causative bacteria are present in nose and throat which spread through coughing and sneezing. So, if you contract the disease, it is essential to follow through with any and all medical treatments. Antibiotics like cefotaxime or ampicillin are effective against Meningitis. If the patients are already exposed to the bacteria, they are treated with the preventative course of rifampin. Do not waste your time waiting to get vaccinated. Meningitis is universal as it affects children and adult population alike. Only the individuals with a known allergy to elements of the vaccine should not be vaccinated. Meningitis is very virulent, and after the infection, it spreads very quickly. So, it is necessary that you receive vaccine shot for Meningitis and adequate medical care as soon as possible. Being careless towards meningitis can be fatal. Call our travel clinic in Norbury to get your Meningitis vaccine today. Our specialists will guide regarding the proper action to be taken and tips to avoid meningitis.